We were at a friend’s house for dinner. She made burgers using this cool ‘As Seen on TV’ burger stuffing tool. Of course, that got my wheels turning. I thought about picking up one of those burger stuffing do-hickey thingys but, really, how often am I going to make stuffed burgers? 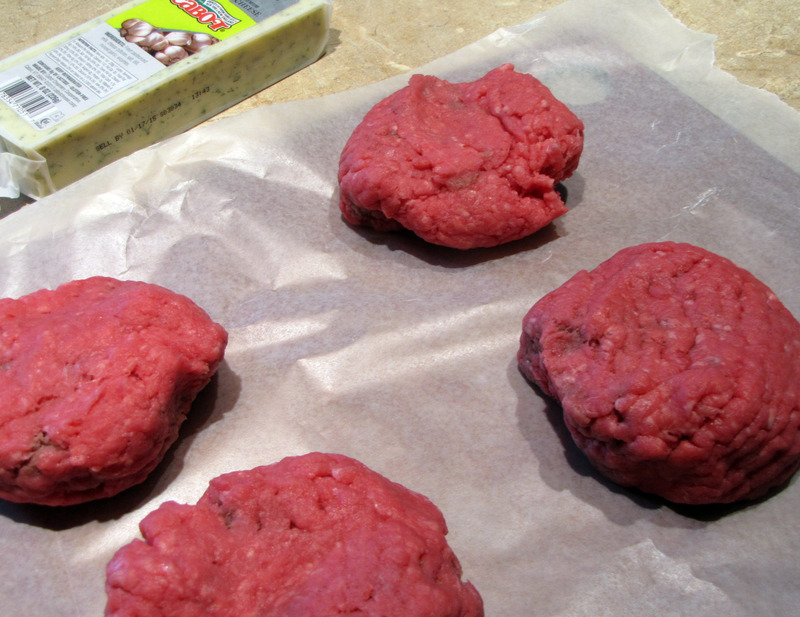 Therefore the quest to find something that I already had on hand to make a stuffed burger began. 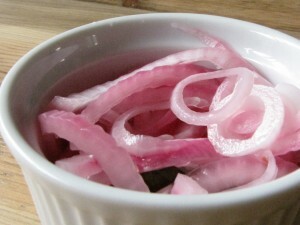 I also had some pickled onions that I’d made the day before so that was even more inspiration motivation to figure out how to make these stuffed burgers because pickled onions are one of my favorite burger toppings. First things first. 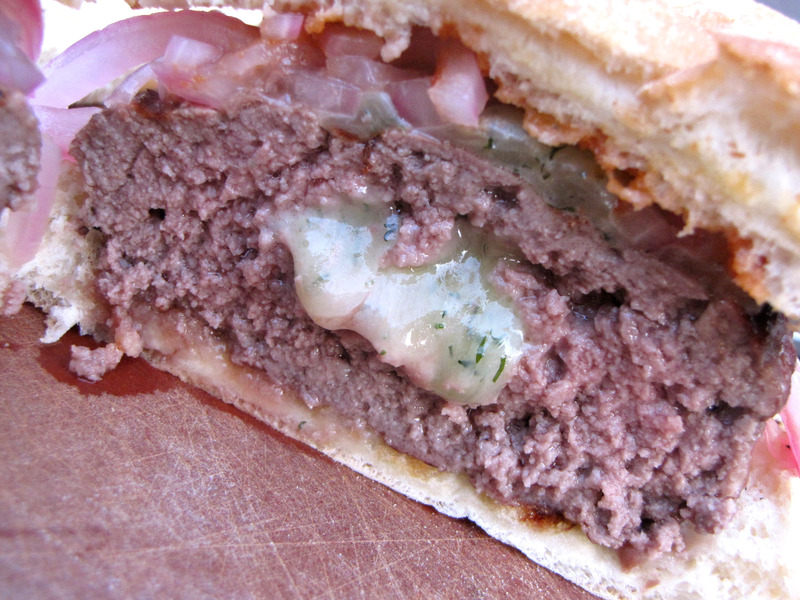 If you’re going to go through the effort of making a stuffed cheeseburger, use good quality ground beef. I love my local butcher, Primal. 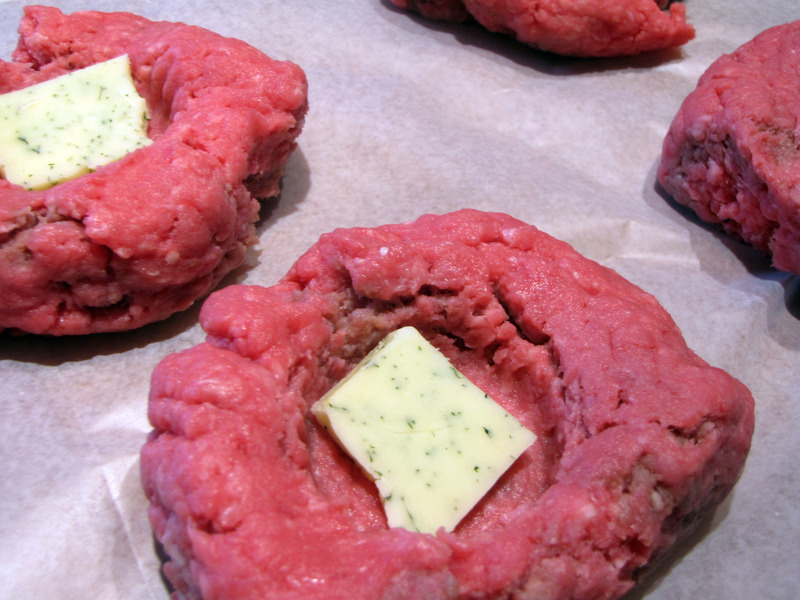 Divide a pound and a half of 90% lean burger into four patties. Then I searched my cupboard for the right tool that would create the perfectly sized indentation. Voila! A juice glass did the trick. 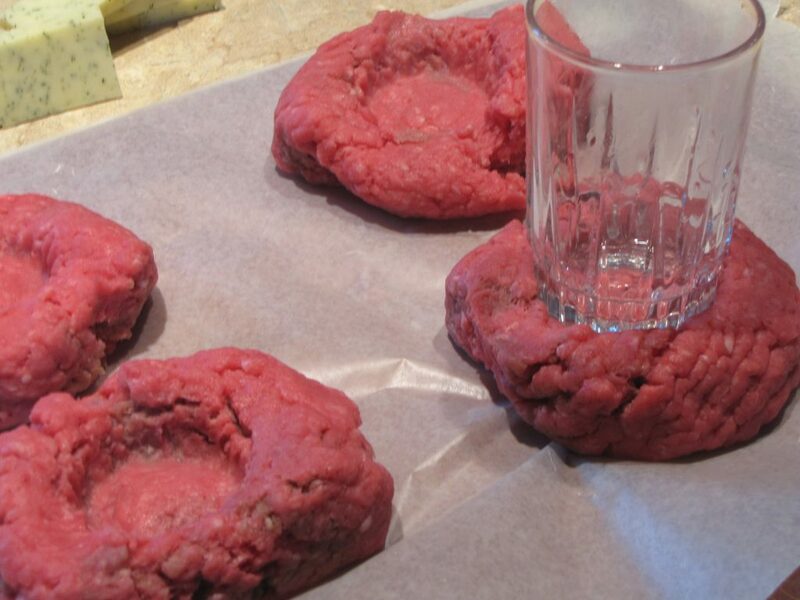 Tip: dip the bottom of the glass in cold water first to make it easier to press the patties. Cut four 1/4″ slices. Then cut each slice in half. One half goes into the patty. The other half will go on top. 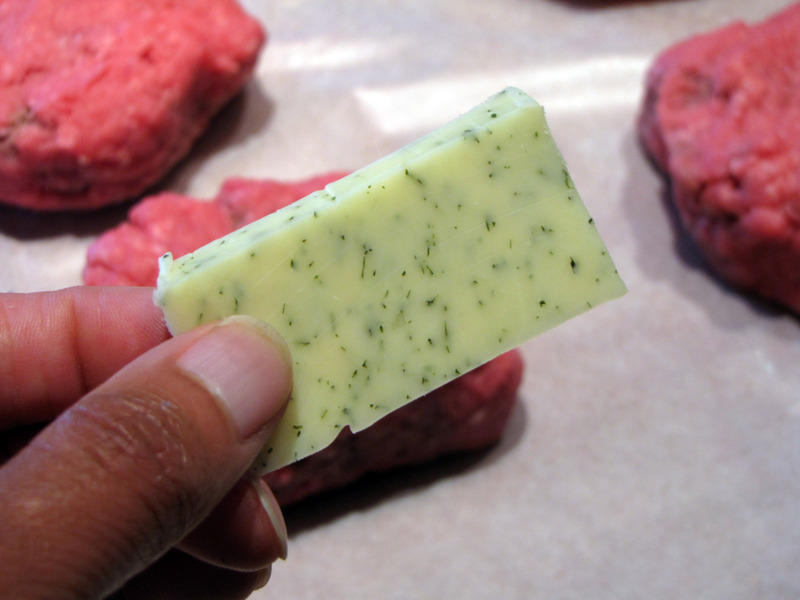 Next you want to press the patty around the cheese in the middle so that it’s neatly enclosed. Grill like you normally would, top with the other half of cheese. Serve on a toasted bun with the pickled red onions and sriracha. If you don’t have pickled onions you can top with plain onions but I have to draw the line at substituting ketchup for the sriracha. The best part is taking that first bite and getting some of that ooey-gooey cheese. I hope you give these stuffed burgers a try. Really easy to do. To recap you need – 1 1/2 lbs. 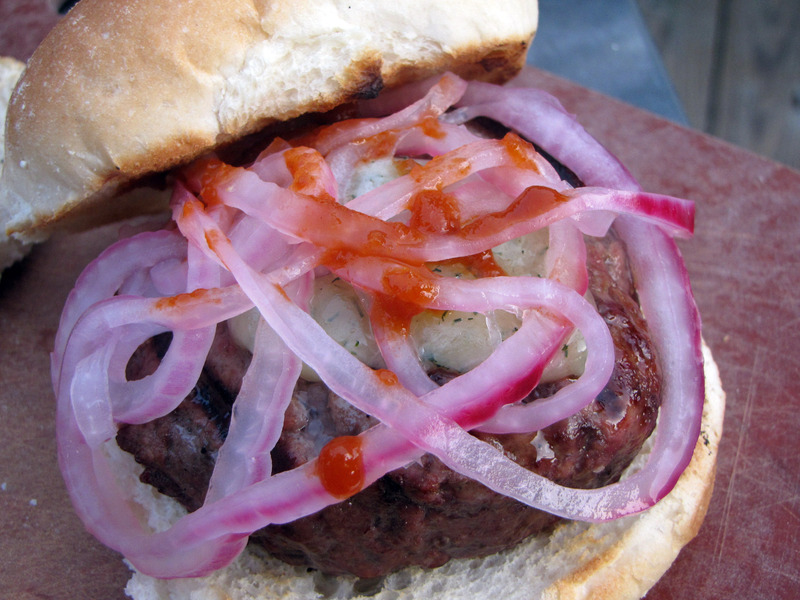 lean ground beef – divided into four patties, four slices of Cabot Herb & Garlic Cheddar cheese, pickled onions, sriracha, some toasted buns and a juice glass. 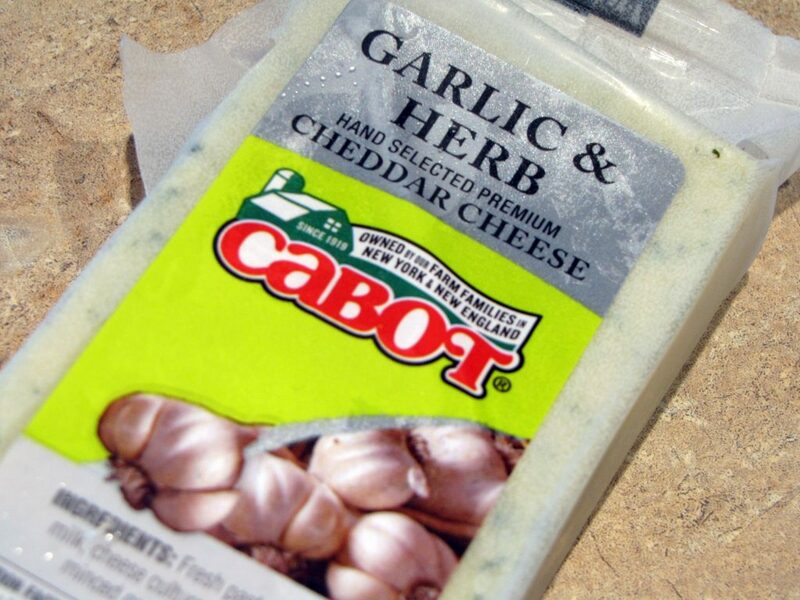 Disclosure: Cabot Cheese provided the cheese for this post. All thoughts, opinions and the recipe are my own. All my favorite ingredients in one juicy burger. This one definitely rings my bell!